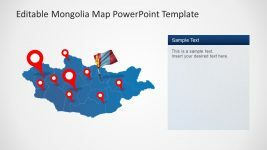 The Mongolia PowerPoint Map Outline template has blue theme set of states creating a country map. 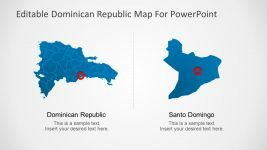 The different shades of blue enables users to distinguish each components. 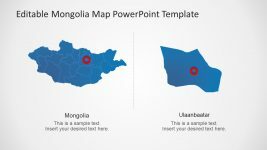 Whereas, the map also provides an outline boarder to assist users in positioning shapes. 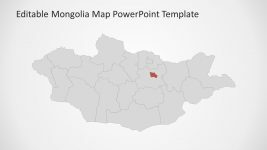 The template of Mongolia map has two contents layout providing the simple placeholder design. 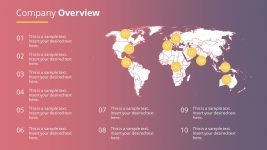 It helps users to add the titles and description of useful information. 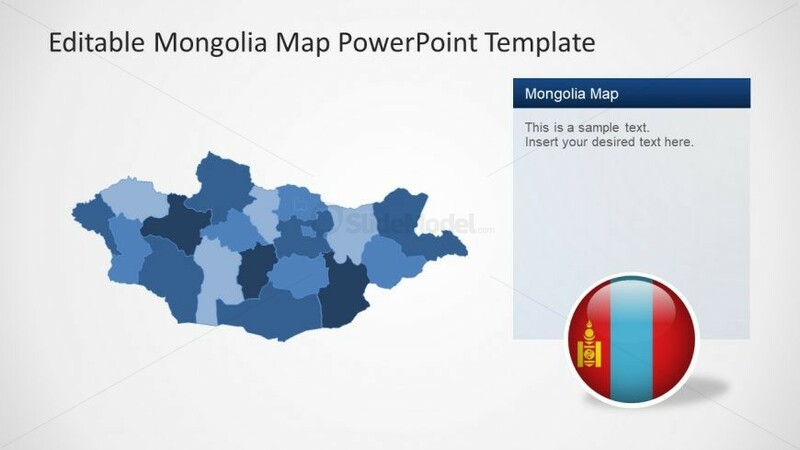 This presentation slide is ideal for displaying demographics of Mongolia. 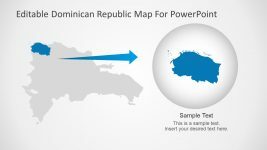 For example, the statistical survey of population, education, ethnics and more. 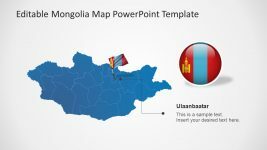 The slide also offers a unique button shape flag icon to represent the country. 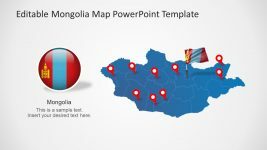 Return to Mongolia Map PowerPoint Template.